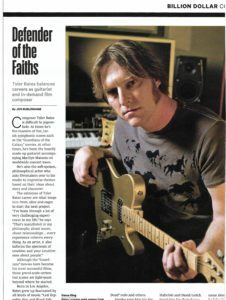 Composer Tyler Bates is not only one of the nicest people in the music business, he’s among the most thoughtful and philosophical, and just plain fun to be around. 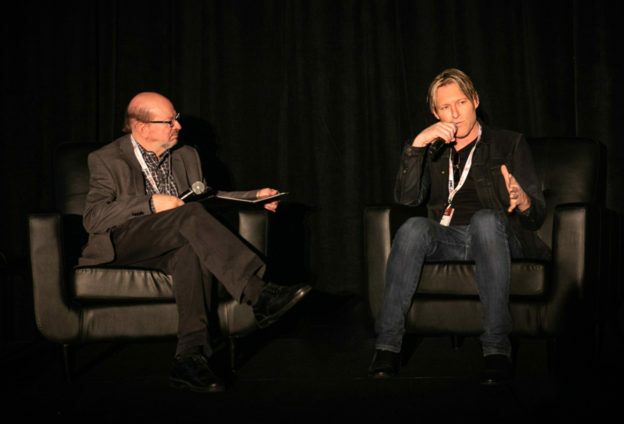 So when the Production Music Association asked me to return to their annual conference to do the keynote Q&A with him, I jumped at the opportunity. 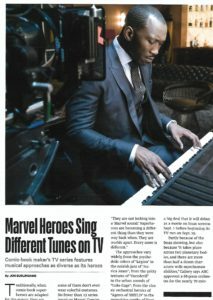 Bates, who has scored not only the two hugely successful Guardians of the Galaxy films but also this year’s fun Deadpool 2, talked about his composing process and his other musical pursuits ranging from TV’s The Punisher to concert tours with his friend and musical collaborator Marilyn Manson. 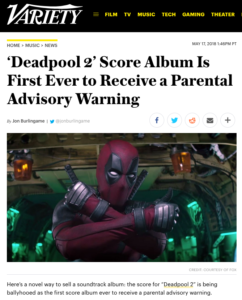 This entry was posted in and tagged Deadpool 2, Marilyn Manson, music for Guardians of the Galaxy, Production Music Association, Production Music Conference, The Punisher, Tyler Bates on September 27, 2018 by Jon Burlingame. Today’s event was among the most enjoyable in ages. 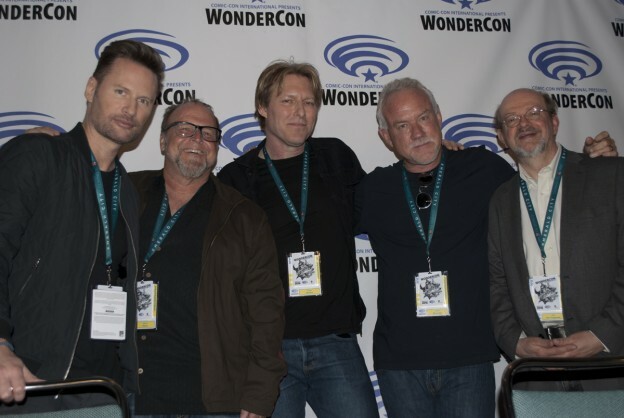 Disney asked if I would moderate a panel of its composers for comic-book and mythical-universe films and TV shows, and I was delighted — especially when I heard who the panelists would be: Tyler Bates (Guardians of the Galaxy), John Debney (Iron Man 2), Kevin Kiner (Star Wars: The Clone Wars) and Brian Tyler (Iron Man 3, Thor: The Dark World, Avengers: Age of Ultron). 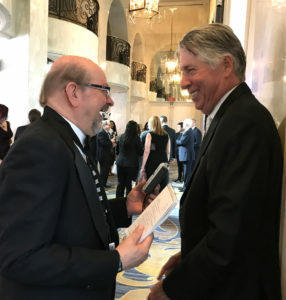 This was at WonderCon in downtown L.A., and the fun stories included George Lucas’ involvement with the animated series, Marvel vs. DC Comics adaptations, Marvel’s penchant for secrecy, the role of orchestra and strong themes, and much more. Wish we’d recorded it for posterity! 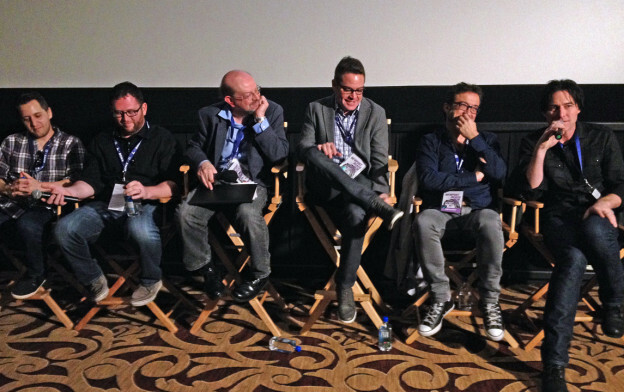 This entry was posted in and tagged Avengers Age of Ultron, Brian Tyler, Guardians of the Galaxy, Iron Man 2, Iron Man 3, John Debney, Kevin Kiner, Star Wars: The Clone Wars, Thor: The Dark World, Tyler Bates, Wondercon on March 25, 2016 by Jon Burlingame.